The expression ‘time flies’ is something I never really understood, as I certainly expected to grow old and eventually not be the ‘young person’ that my parents claim I act like all the time. This winter, I celebrated my 35th birthday. My friends outside the sport of karting do not consider this milestone as significant as, say, 30 or 40 years of age. To me, it’s an age I thought I had plenty of years before reaching it. The week of my birthday presented me with a piece of reality. For those who were in the sport of karting back in the late 1990s, you’ll remember when the Masters category was brought into the fold by a number of organizations. The purpose of the class was to allow drivers of an older age to complete against one another for trophies and race wins, all without having to take on the younger, and most of the time, quicker and more aggressive drivers. As a 20-year-old in 1999, I understood it more as a promoter than as a driver. I helped put together the Mid-States Super Series those days, and Masters was among the larger classes we offered in terms of entries. Looking at it from a driver’s perspective, I wanted less classes and larger fields. Who cares if you can’t always race for the win? That was a quick 15 years ago. Now, I’m a family man with a wife and two kids (6 and 2), and it seems like reaching the 35 years-of-age mark happened in a blink of an eye. That 20-year-old had so many plans as a young and energetic racer, wanting to make a name for himself on the track with victories and championships. Those dreams have all passed, as life didn’t get in the way, but instead took over. Getting married, purchasing our first house and welcoming our son into the world, are among the many memories I can never replace or forget. The ‘20-year old David’ always laughed at those things, thinking that racing was all he lived for. And now, the elder person I’ve become appreciates every day and knows racing, while runs through my blood, is not my purpose. Reaching 35, however, does not mean that my racing is done. At nearly 60, my father continues to be my karting role model. Every winter, he spends the long and painful snowy days waiting for the warmer temperatures to arrive so that he can return to the garage to prepare his karts for the upcoming season. Traveling around the country with our eKartingNews.com Trackside Live program, I’ve been able to form great friendships with many of the Masters drivers in Rotax Max Challenge and Superkarts! USA competition. The fields in those categories include many of the sport’s former mainstream stars and big names, many of which still have the skill-set to compete at the top level of the sport. 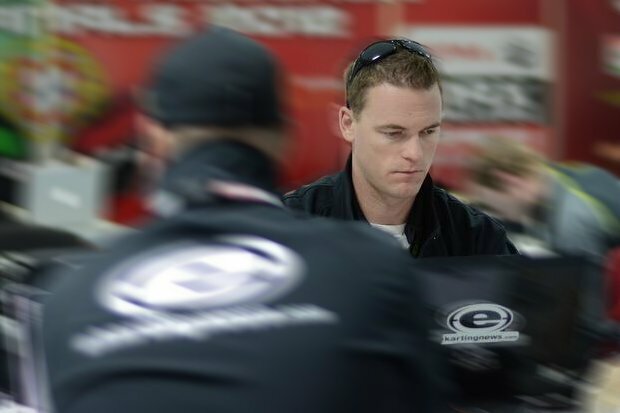 Their many battles on-track provide me with a new set of goals in the sport, knowing that racing past the age of 35 is nothing to feel negative about. Masters racing doesn’t have to be at the top tier of the sport, as your weekend warriors find a great place at the club level as well. The largest adult race group at my local track is a bunch of ‘elder’ drivers competing in World Formula karts. They all race each other, bumper-to-bumper and wheel-to-wheel during the day, and then get together for dinner around the campfire and a few beverages in the evening. Further south at the Michiana Raceway Park, some of the best Rotax Masters drivers in the country compete 10 Sundays out of the year to claim the year-end championship. One thing remains consistent; they are all racing for the love of the sport with the goal of getting back home to work on Monday. Throughout the country, it’s a great mix of drivers with a numerous years of racing karts, and others just now joining in on the fun of karting. 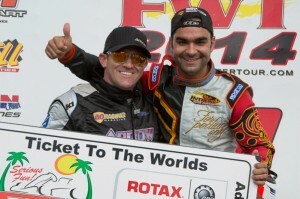 Florida Winter Tour double champion Luis Schiavo is a former junior open-wheel standout. His lead challenger throughout the winter was Scott Falcone, who just picked up the sport a few years ago and has already earned national titles himself. Both are determined to be the best and enjoy their time at the track – and they each earned tickets to the 2014 Rotax Grand Finals. One driver I remember seeing on the cover of countless magazines over the past few decades is Alan Rudolph. 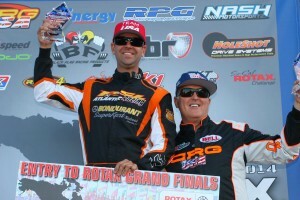 He clinched his second Rotax Challenge of the Americas title in April and earned his third ticket to the Rotax Grand Finals. 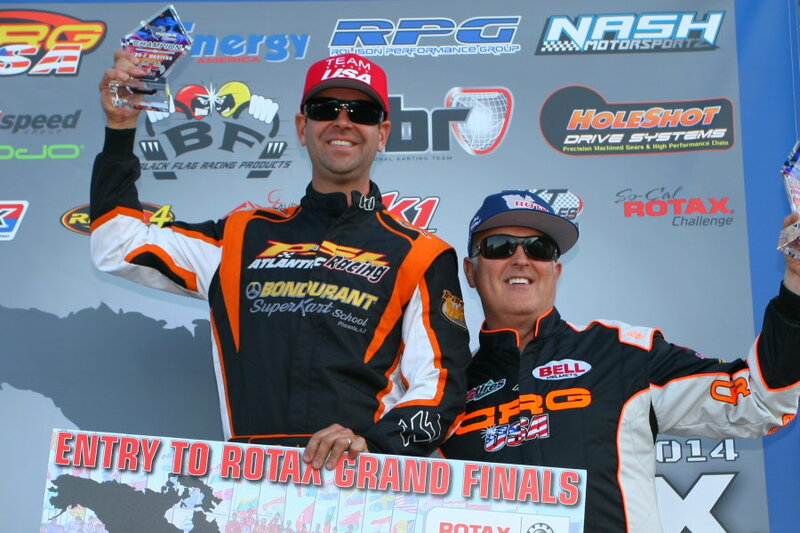 His lead challenger this year is a doctor, Mike Urban, who is into his third year as the owner of Billet Performance Karting and just enjoys what karting offers. This is just another great example of how the Masters class can be different things to different people. When it all comes down to it, karting is not about the championships we won or lost. It’s about the moments we enjoy and the time spent with friends and family. That is the main reason that my father got back into the sport in the 1970s, and continues to be the reason we count the days until the snow melts each winter, and cherish every weekend we can during the summer months. Well done, thanks David. Hopefully your dad and I can enjoy the sport for many more years. Hard to believe that you and Brandon have joined the club as will Lance in a couple more months! Thanks Jim. I’m sure you both have many more years to go, as do us all.